When it comes to spindles in machine tools, in most cases, little information or none at all is currently available about the current operating conditions and previous operating indicators of the spindle in the machine. For this reason, it is difficult to determine parameters for wear rates that could otherwise be used to prevent unexpected machine downtimes. 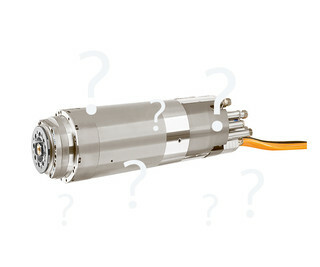 What is the run time of the spindle at speed and under control? How many clamping cycles have been performed until now? What is the operating condition of the tool clamping system? Integration of WEISS motor spindles SINAMICS and SINUMERIK in one intelligent system. This leads to the simplification of the spindle commissioning and the signal integration in the PLC. 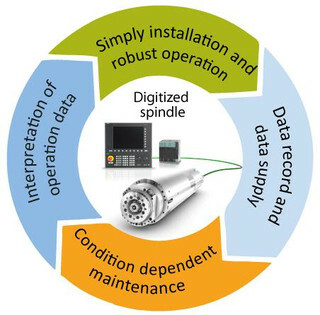 Collection, analysis and visualization of information and data during spindle run time. Determination of spindle states that can lead to downtime on the basis of the data evaluation. Increase in the spindle lifetime through better planning of preventive measures for spindle maintenance, which increases the productivity of the machine. The WEISS Spindle Sensor Module SMI24 simplifies the spindle commissioning, reduces the amount of hardware required for the integration of spindle signals into the controls and displays the spindle status information on the HMI. 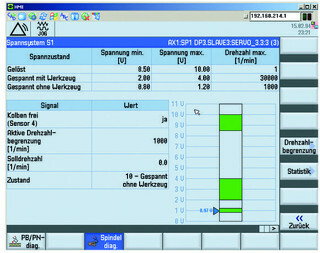 The “Integrated Spindle Monitor” ISM SINUMERIK option can be used to access additional information on the status of the spindle and data on the spindle use via screens on the HMI. Cycle-independent signal transmission for increased productivity Visualization of operating conditions enables easier diagnosis. More control cabinet space thanks to fewer components. Simple wiring with just one Drive-CliQ cable for the signals of the encoder, motor temperature, clamping status query and piston query. This results in fewer components (cables, processing units) in the control cabinet for the feed-in of analog and digital spindle signals. 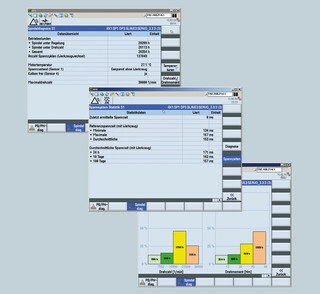 Display and visualization of the current clamping status. SMI24 enables tools to be changed as quickly as possible thanks to its independence from the PLC cycle. 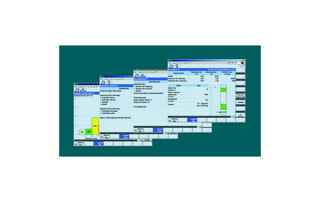 The configuration of the tool change is simple and quick without the need to involve the PLC. Quick access to spindle information thanks, for example, to the display of the spindle designation and serial number.